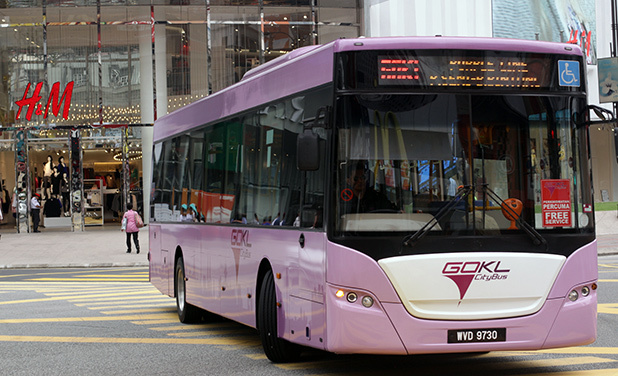 GoKL buses which commenced operations since 2012. 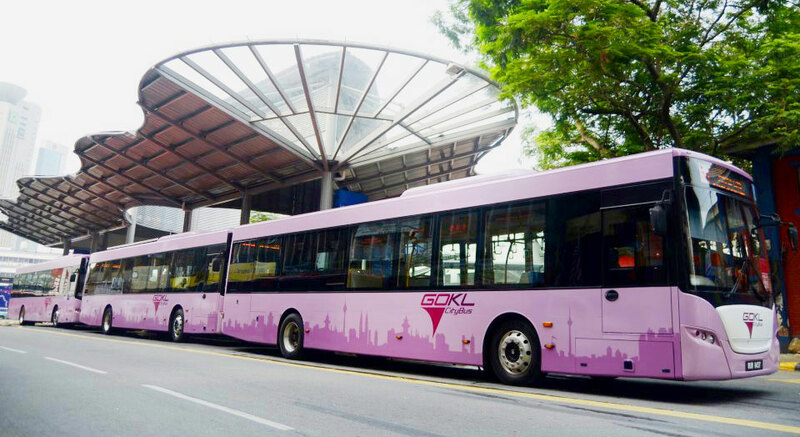 GoKL free bus service has been initiated since 2012 with only two routes and in 2014 another routes was introduced. 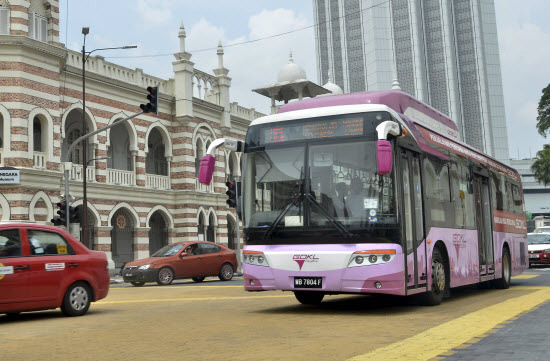 Now it has four routes to enable all visitors and residents of Kuala Lumpur to use this free bus service at any time during the operation hours. GoKL buses operates in major regions in central Kuala Lumpur with a frequency of 5 minutes during peak hours (7.00am - 10.00am & 4.00pm - 8.00pm: weekdays) and 10 minutes at other times make it an efficient transport options for everyone. Indirectly, it allows citizens to use the service and reduce the number of vehicles in the main areas, especially during the peak hours. In fact, it is also effectively reducing the air pollution because the bus GoKL itself using natural gas "Compressed Natural Gas" (CNG) to fueled their busses. Through the main routes in the City Center. For those who are familiar with this service may have been aware of each of their path. While those of you who are not yet familiar with the GoKL buses routes may download route maps from the link provided. 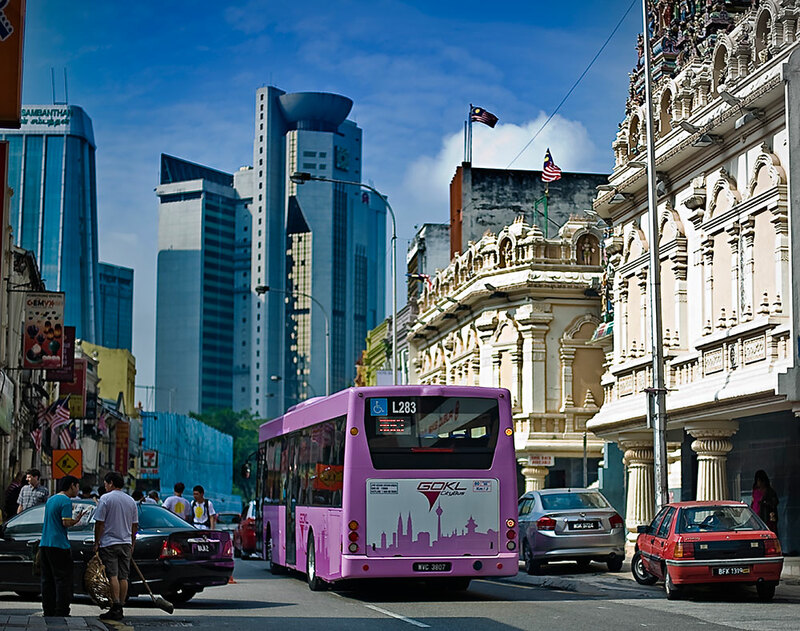 Route is distinguished by certain colors of GoKL buses namely red, blue, green and purple. Each bus route covers certain routes consisting of key locations such as the transport hub KL Sentral, attractions such as Merdeka Square, shopping centers in Bukit Bintang, parks and so on (see route map as a guide). 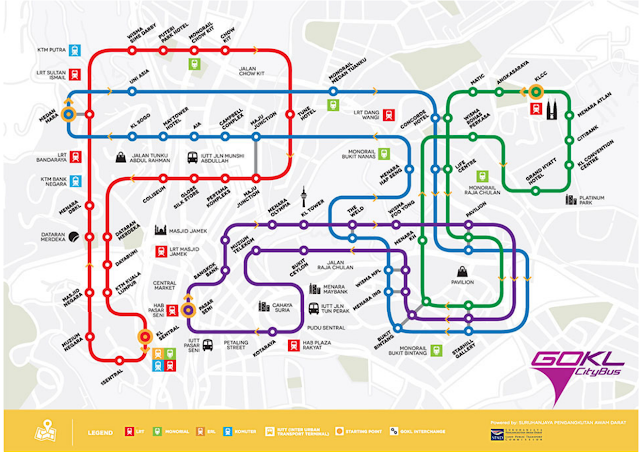 Route Map for GoKL buses in Kuala Lumpur. * Please refer to the route map for a route network more clearly. 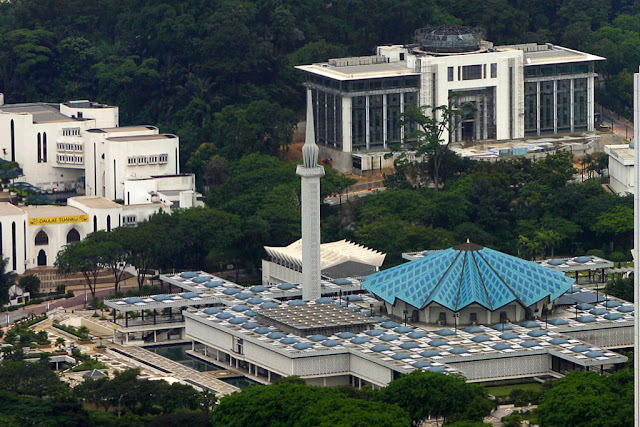 The bus is free for all citizens and tourists in and out of the reach of Kuala Lumpur City. Each visitor to the city center bus services are encouraged to use this as an effort to save fuel, reduce the number of vehicles on the road and also reduce the pollution in the capital. So if you pay a visit to Kuala Lumpur in the future, do not forget to take advantage of this free service.